"They must have mixed up my test results with someone else's." "The tests show negative so I can’t really be ill can I?" "They can't tell me what it is so I can't be ill."
"How can I have got so ill?" "This can't be happening to me." We choose to believe that it isn't happening, although of course we know on some level that it is. We are therefore in a place of conflict. This isn't a nice place to be, but – like all the other phases – this stage of grief is necessary. 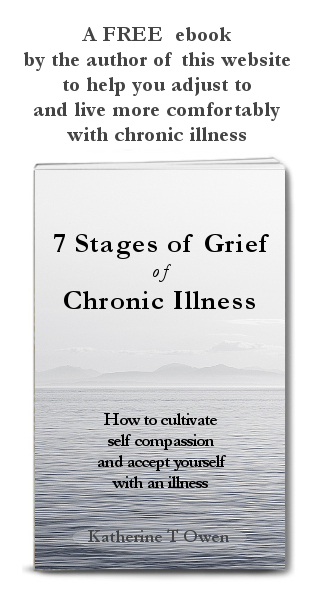 This article on the 7 stages of grief in chronic illness is NOW included in a FREE ebook. The book includes additional information which helps you to be gentle with yourself in a time of illness. 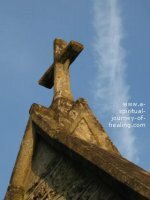 The link above and the cover below take you to visit my healing website where you can collect your FREE copy of the book. There is a time when it really is too much for us to believe this is happening. 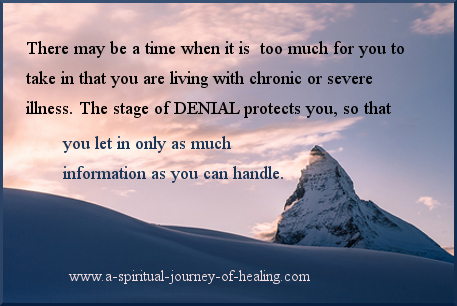 Denial protects us by letting in only the information we can deal with. 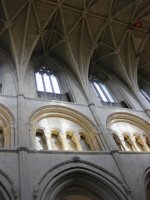 I needed to learn to rest if I were to halt the decline of the illness and recover. I was only going to learn to rest, if I reached some level of acceptance of illness. I reached the point where I needed to learn to use a wheelchair to maximise my independence and allow me to leave the house. I was only going to accept a wheelchair if I reached some level of acceptance of illness. I needed help from others. I was only going to ask for that help and find it OK to receive help if I reached some level of acceptance of illness. I needed to move away from certain people who were in denial about me being ill. I was only going to go through the pain of doing this, if I reached some level of acceptance of illness. For a long time, I did not accept that I was ill.
A year and a half year after I got too ill to work, I finally wept because I accepted that 4 weeks from then I would probably still be ill. Probably. Those tears were good tears. They were a sign that I was moving forward through the 7 stages of grief. Most health articles on this site are designed to help to raise your belief in LIFE within chronic illness and your hope for recovery. But if you are in denial with the illness Chronic Fatigue Syndrome /ME, you may actively want to face up to how serious it can be. If so, please move to Chronic Fatigue Syndrome is a serious condition. The next stage of grief is anger about illness. Click to read more. The need to perform family roles can lead us to denial of illness. Move to read the full list of the 7 stages of grief.